My name is Sinead Hoffman, I’m a Product Development Technologist (Food Scientist) working for Tigerbrands. It can be challenging but my work hours are quite predictable so it’s a bit easier for me to plan than most people. I sign up for a race I’m interested in and design a programme and try my best to stick to it. I find that if I plan ahead, I have less excuses when I’m having a lazy day because I know I need the training for a race. 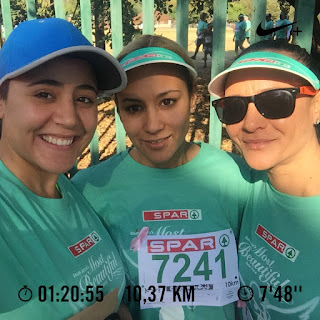 I started running about 5 years ago, did my first 10km and never ran again. I pushed too hard too fast in the beginning and found running to be boring and just plain hard. I wasn’t consistent, so it was just months of pain and I hated it. I never had a “good” run and it was frustrating, so I gave up. I got a puppy around March 2018 and decided I needed to walk him for his own benefit. 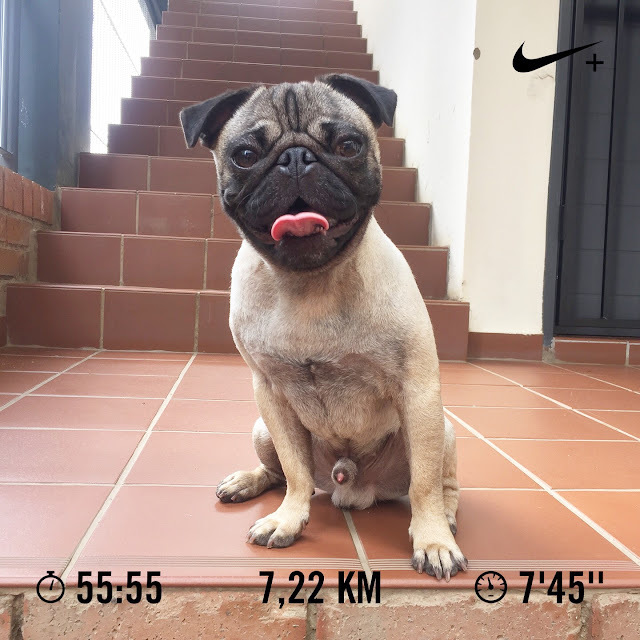 Soon I found myself enjoying our walks and going further and further, started doing parkruns with him as well which he loved. But I decided in September 2018 that I needed to get fit, but I wanted to do it right this time. I didn’t push myself to reach goals I knew were unrealistic. I’m extremely competitive and that was my main problem when I started running. So, this time around, I only competed against myself. 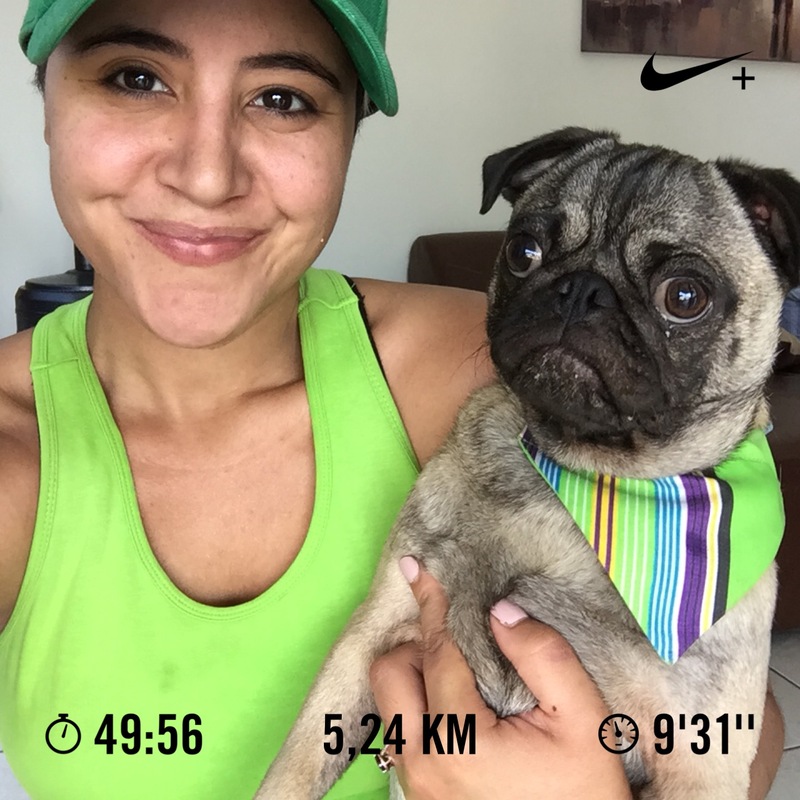 My first run was horrible, couldn’t even manage 3km (and 11’ per km) but I kept going back and just getting out there. I told myself I’d run 2-3 times a week with my puppy and I did. I kept being consistent because I believe that’s what counts. Consistency. My crew. Their motivation and help really gives you confidence. Being in a big group is also a plus for the safety aspect. 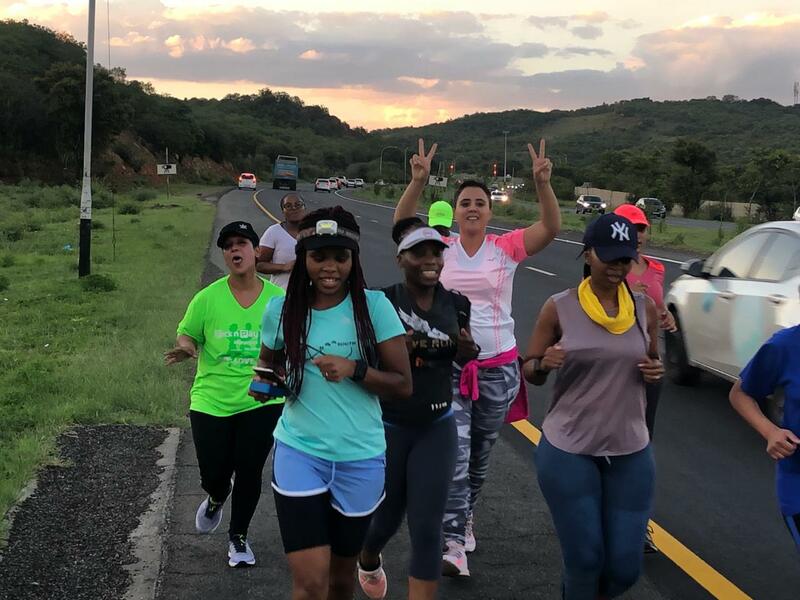 As a woman, it’s not always the wise thing to run the streets on your own, so running with a crew gives me confidence to concentrate on my run and not always worry about safety. My sister is also a runner and boy, she’s fast. 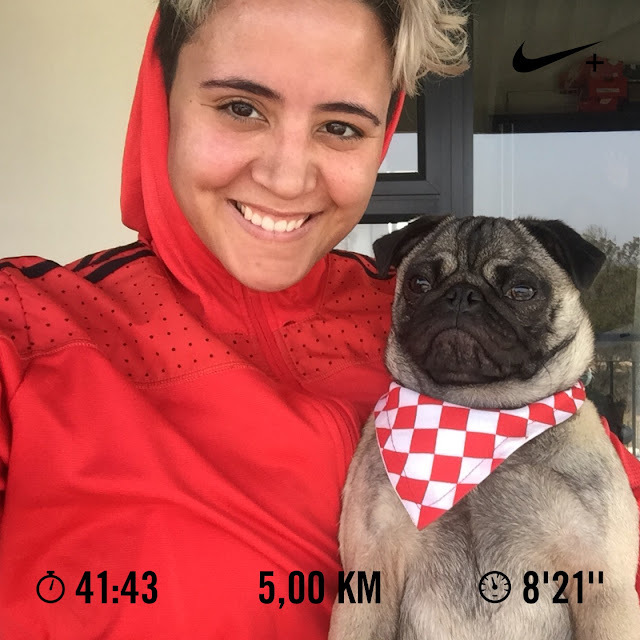 She pushes me when we run together which also builds your confidence that you can go faster and harder than you think you can. Definitely finishing my 21 km. the first 18 km’s were an absolute pleasure and I loved every moment of it. 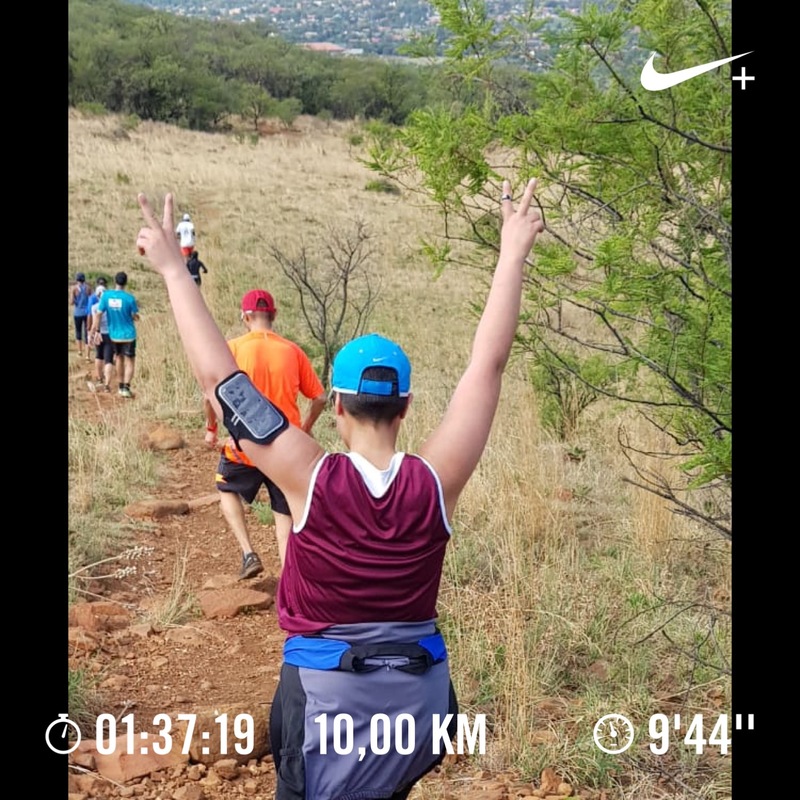 The last 3 km’s were all downhill and it hurt like hell (my knees definitely need some work) but I pushed through. I didn’t set myself a time goal because I don’t think it’s wise on your first race (or any new race) but I was so chuffed because so many experienced runners complain about it and I honestly loved every moment. I felt an extra sense of achievement because I smiled the whole way, and really enjoyed my race. If it’s not fun, then there’s no point 😊 now I have a time goal for next year’s race which I plan on smashing! The first two weeks of running. 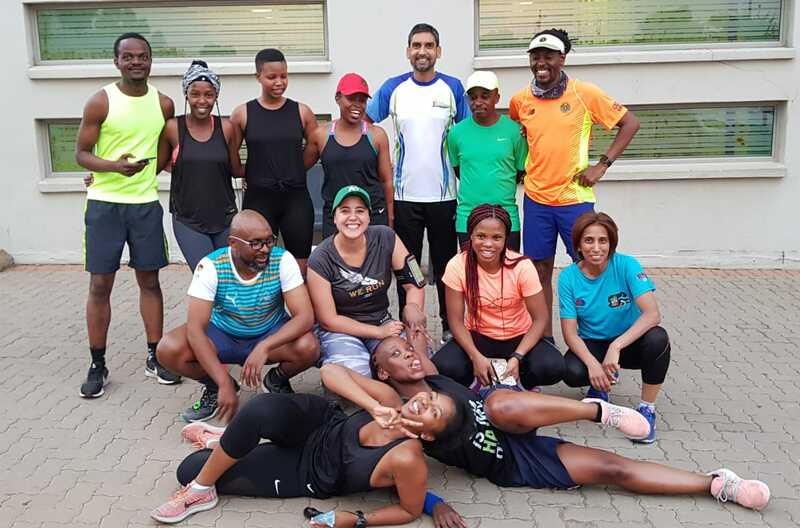 Starting out any fitness programme hurts. Not only physically but emotionally too. I felt so defeated and useless, but I didn’t give up. In 4 months I went from running 11’ per km to 7’20 per km which I’m proud of. It might not seem like a lot because I know people who run 4’ per km, but it’s an achievement I’m proud of. And it can only get better from her. Celebrating the small victories is also very important. I try to listen to my body. I think it’s necessary to recognise when its pain from injury or just pain from running. Side pains, muscle cramps and the like, you gotta just run it out. It eventually goes away but when it comes to injury pain (things like knee issues and such), it’s important to slow down and take a load off. Nobody is in this race except you, and you’re not a failure just because you need to go slower. There are programmes that build up your knees and increase your distance/speed in a safe way that prevents injury. I would hate to not be able to run my race because I pushed too hard in the last week of training instead of slowing down and taking a load off. Rest is as important as training. I should be a Nike brand ambassador because I honestly believe in “Just do it”. Just get out there and do it. No matter the pace, no matter where you start, the important thing is that you started, and you remained consistent. Fitness and speed will come later, but just start.